Kathmandu, IMPRESSION Nepal Gandaki Province has organized gathering of ICT media and press sectors workers in Pokhara. The gathering has inaugurated by GEFONT NEC member & president of IMPRESSION Nepal. 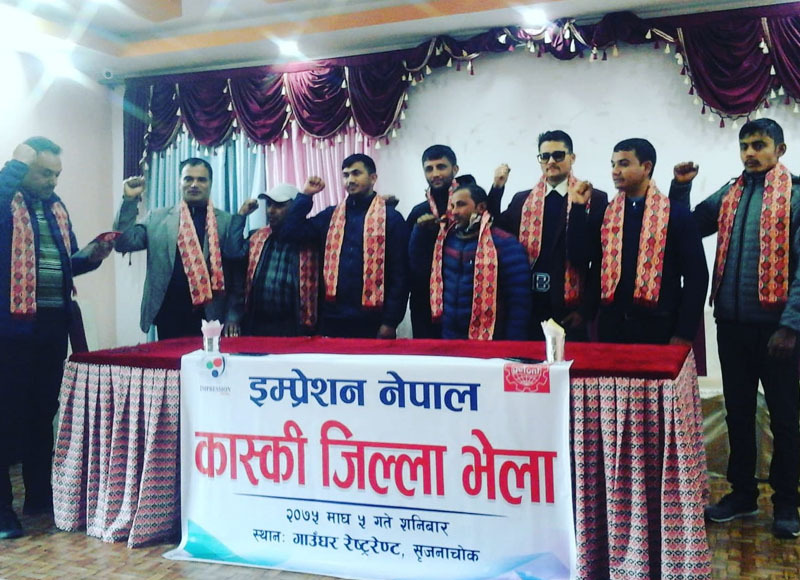 The gathering has formed 11 members IMPRESSION Nepal Kaski District committee under the presidency of Cde. Krishnaraj Pokharel. Speaking in the program Chief Guest Cde. Shrestha said “Impressions Nepal has been organizing various programs for the rights of workers working in information and technology, press and media sector, he further added if the union is strong, only the workers’ rights can be protected, For that, workers should unionize & with the development of the technology, worker should develop capacity according to the new technology, for that union is planning to conduct training program to develop capacity and efficiency of the members. Cde. Roji Shrestha from Pokhara has informed.